I’m very happy that my first mural of the year is located in my hometown, Saumur, in France. After an interview in a local magazine last year, people and organisations became aware of my work. Street art in Saumur is almost non-existent, most of the city centre is built with limestone making it difficult to paint. Moreover there haven’t been any push for urban projects to happen – until recently. 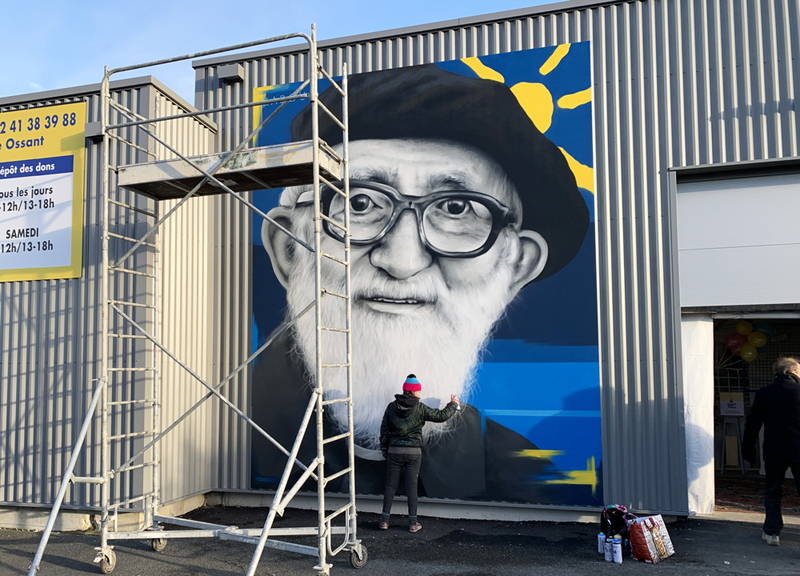 Emmaüs, a charity that celebrated its 70th anniversary this year, has invited me to paint a mural outside of their venue. 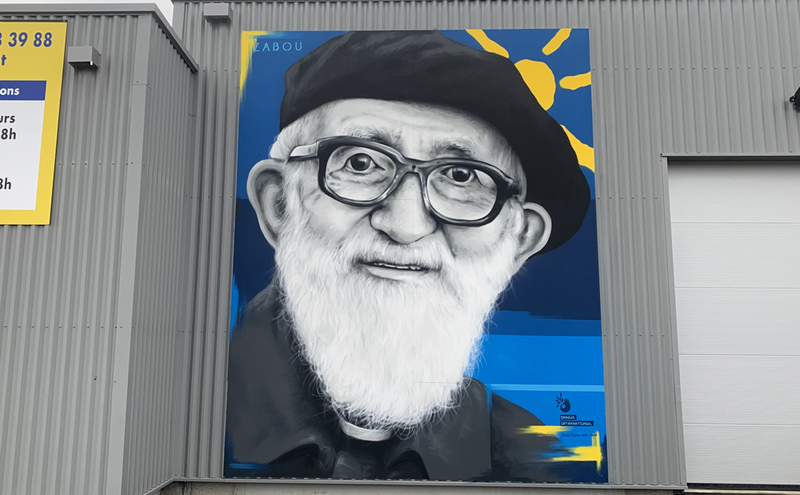 The artwork depicts their founder, Abbé Pierre, a priest who fought all his life for social justice and solidarity, against exclusion and poverty. 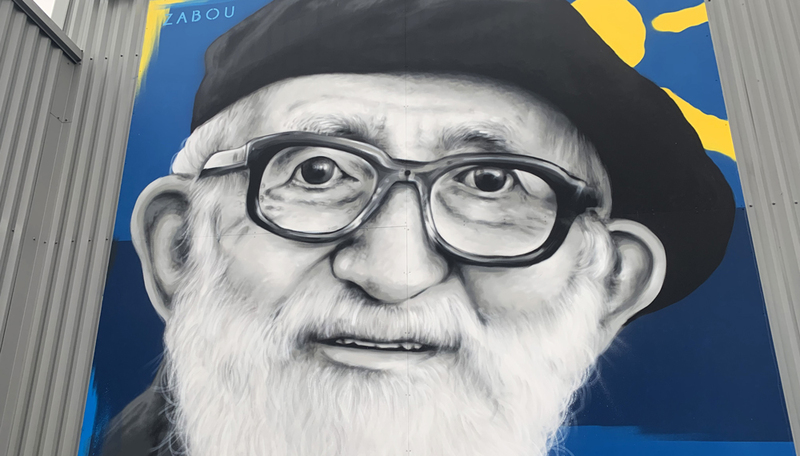 Based on a photo by M. Pelletier Decaux, the portrait shows Abbé Pierre with his famous white beard and square glasses, smiling and hopeful.